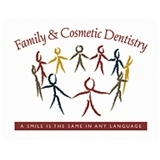 Family and Cosmetic Dentistry (Tampa) - Book Appointment Online! We would like to welcome you to our office. We take great satisfaction in helping you maintain optimal oral health. Our practice is devoted to comprehensive and preventive patient care. Dr. Neeraja Jasthi and her staff welcome the opportunity to introduce the various options available so that you can begin your journey to a more beautiful and confident smile. Our patients are our most important asset, and we strive to develop long-lasting, trusting relationships with all of our patients. Your referrals are welcome and appreciated. We look forward to seeing you! Highly positive first experience. The staff were all friendly and professional.